Exceptional 3 bedroom, 2.5 bath two-story home. Modern chef's kitchen with built-in microwave, dishwasher, white ceramic tile floor and counters, built-in buffet cabinet and a free-standing gas range/oven. Living room with white frame gas fireplace with slate colored tile and vaulted ceiling. Dining room with slider window to covered patio and backyard with basketball 1/2 court. Master bedroom with slider to balcony and a full bath. Two car garage with washer/dryer. 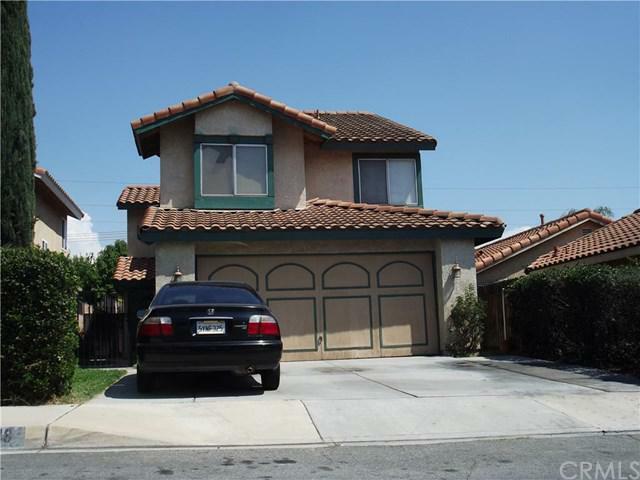 Close to county hospital on Pepper, schools nearby and shopping. Red tile roof too.